Louise Phillips Writer: The Sam McRae Mystery Series! The Sam McRae Mystery Series! As I will be in writing hibernation for some time, I'm delighted to have fellow writers visit and spread good news or information about their work. I've known Debbi Mack since I started on Twitter a couple of years ago and her story is an unusual one, so I hope you enjoy it!! 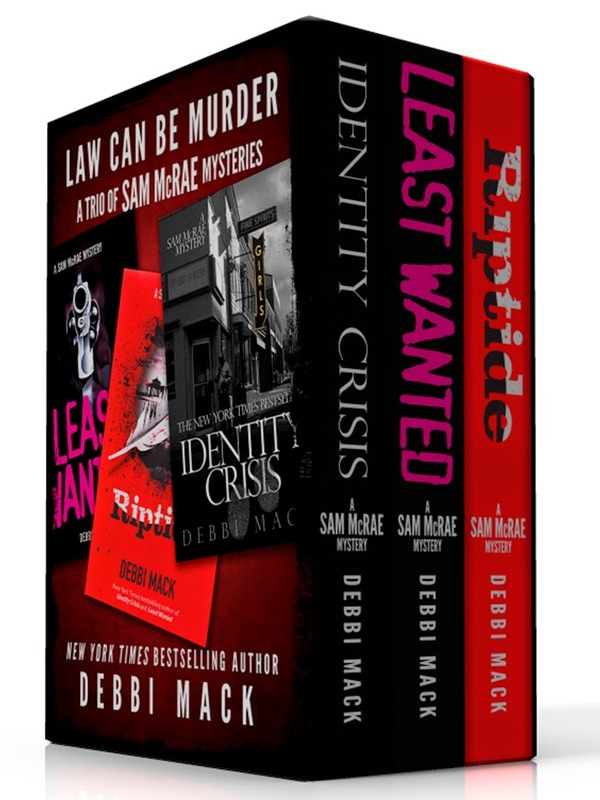 Debbi Mack is the New York Times ebook bestselling author of the Sam McRae mystery series. She’s also published Five Uneasy Pieces, a short story collection that includes her Derringer Award–nominated story “The Right to Remain Silent.” Her short stories have appeared in various other anthologies and publications. Her most recently published short story is “Jasmine”, appearing in Chesapeake Crimes: Homicidal Holidays. Debbi is also a screenwriter and aspiring indie filmmaker. Her first screenplay has placed highly in both the Scriptapalooza and the Austin Film Festival screenwriting contests. 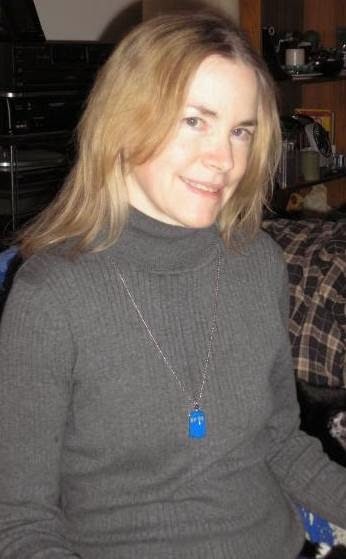 A former attorney, Debbi has also worked as a journalist, librarian, and freelance writer/researcher. She enjoys walking, cats, travel, movies, music, and espresso. So I’ll hand you over to Debbi…. I never planned to self-publish my work. 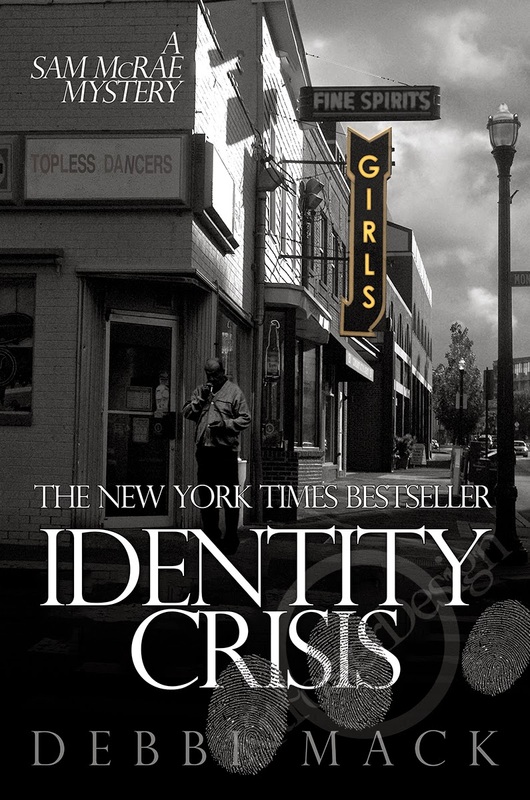 My first novel, Identity Crisis (part of the Sam Mc Rae Mystery Series) was published by a small press that went out of business nine months after the novel came out. Identity Crisis is a hardboiled mystery involving identity theft, murder, and how past mistakes and lies can lead to trouble. In 2009, I decided it couldn’t hurt to reissue the book myself, in print and ebook formats. Much to my surprise, my ebook sales made significantly more than I expected. Frankly, I hadn’t expected to make much money at all from writing fiction. However, when I saw how well I could do selling ebooks, I decided to stop freelancing and devote all my time and effort toward writing and marketing my novels. It was in 2011, after publishing the second Sam McRae mystery, Least Wanted, that my first novel hit the New York Times ebook bestseller list. Further, both novels became Kindle bestsellers in the U.S. and the U.K. Least Wanted also took the series into a darker direction than the first book. In 2012, the market became flooded with ebooks. My sales suffered as a result of that, as well as having been worn down by the continuing demands of writing and marketing. Nonetheless, I published a third novel, Riptide, in which Sam solved the mystery in a strange — even hostile — environment, and her relationship with her best friend is tested and deepens, as a result. This year, I re-published Identity Crisis under my own imprint. Now, I’m just months away from releasing the fourth novel in the series, Deep Six, another story that explores Sam’s personal relationships and delves into the subject of land use, politics, and corruption. 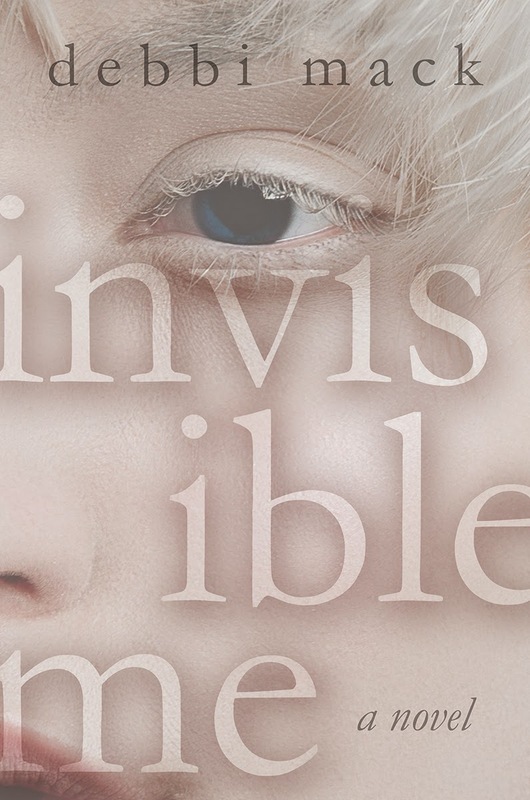 I’m also releasing Invisible Me, my first young adult novel, as well. In anticipation of releasing the new Sam McRae mystery, I’ve published a boxed set of the first three novels, Law Can Be Murder. I’m also throwing a big Facebook party for the boxed set’s release. The party is scheduled for Tuesday, Dec. 2, from 1:30 to 4:30 p.m. EST. There’ll be trivia contests and prizes for the winners. Law Can Be Murder is available on Amazon, B&N, Kobo, Apple iBooks, and Smashwords! Two Steps Forward and One Step Back!